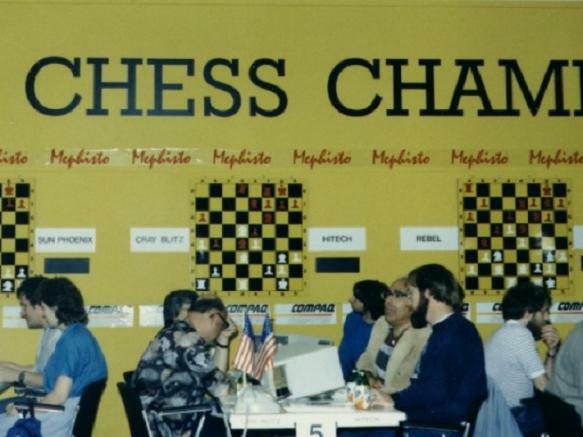 a chess program developed by Ed Schröder. After Ed's retirement from competitive computer chess in 2003, his latest commercial version, Rebel 12, supports the Chess Engine Communication Protocol and is market by Lokasoft, including their ChessPartner graphical user interface running under Windows. In 2004, Ed Schröder released the free ProDeo based on Rebel. The free Rebel - The Next Generation in March 2014, turned out to be an early April fool, a Stockfish version was running in the background passing information to ProDeo  . 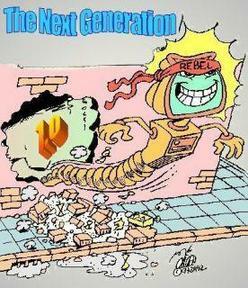 Rebel's development started in 1980 as a program written in Basic and running on a TRS-80 with a 1.77 MHz Z80 Processor, and was later rewritten in 6502 assembly to run on Apple II home-computers. 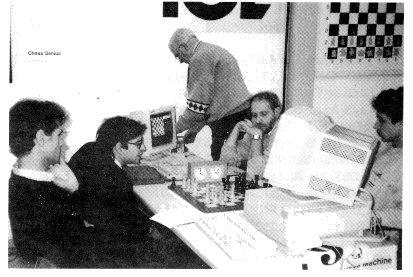 Rebel's first tournament in 1982 was already a big success, becoming third at the 2nd Dutch Computer Championship, which was noticed by Jan Louwman, the pioneer of Dutch computer chess with commercial relations to Hegener & Glaser and other manufacturers of dedicated chess computers. With Jan's support, Rebel was commercially brought to market as Mephisto Rebell and about 20 subsequent dedicated models, sold in the period from 1985 until 1995 by Hegener & Glaser, Saitek and TASC  . At the dramatic Cologne WCCC 1986 showdown, Rebel, running on an Apple II, nearly became champion when it was almost winning from Bebe, but finally underestimated a dangerous passer and lost. Rebel on 6502 further played the ACM 1986 (Rebel Recom), the ACM 1989 and WCCC 1989, and won the First Computer Olympiad 1989. The ARM2 RISC version of Rebel, developed in the early 90s, running on a TASC ISA card for an IBM PC, and called ChessMachine Gideon, won the WMCCC 1991 in Vancouver and the WCCC 1992 in Madrid  . Subsequent x86 PC-versions of Rebel run under MS-DOS with its own proprietary but sophisticated graphical user interface developed by Rob Kemper, while Jeroen Noomen was responsible for the opening book  . The Mephisto Rebel has to be defined in between a Shannon A and a Shannon B type of chess program. To all brute force calculations a fixed ply depth quiescence search is added. Capturing moves and checks are extended more deeply. The evaluation function integrated much chess-knowledge, so the program also finds good positional moves. This page was last edited on 16 December 2018, at 11:40.